Find a project that inspires you, and make these kids happy! To pick one of these and make it your own, contact us at . Or just start fundraising for FFI, and we'll send whatever you raise where it is is needed most. Either way, you win, and so do the kids in the pictures below. 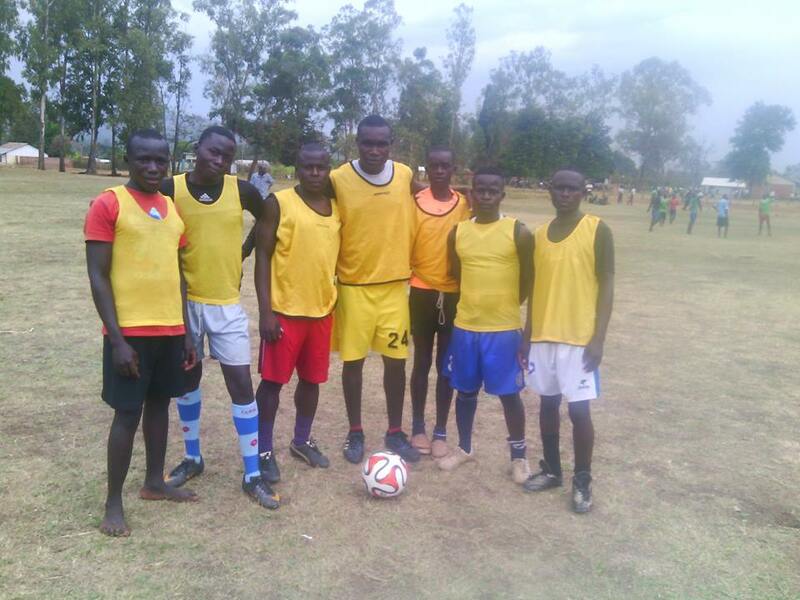 "One of our goals as an organization is to train disadvantaged children in soccer to a level that allows them access to opportunities like soccer scholarships and life coaching. Given sufficient facilitation, we believe we will be able to educate the children effectively granting a chance at a better future, higher level competition like national and in the long term, international." 150 children ranging between ages of 6 - 17. Looking for help raising money for uniforms made locally, soccer balls, shoes, shin guards, goal posts and educational equipment such as projectors and camcorders. 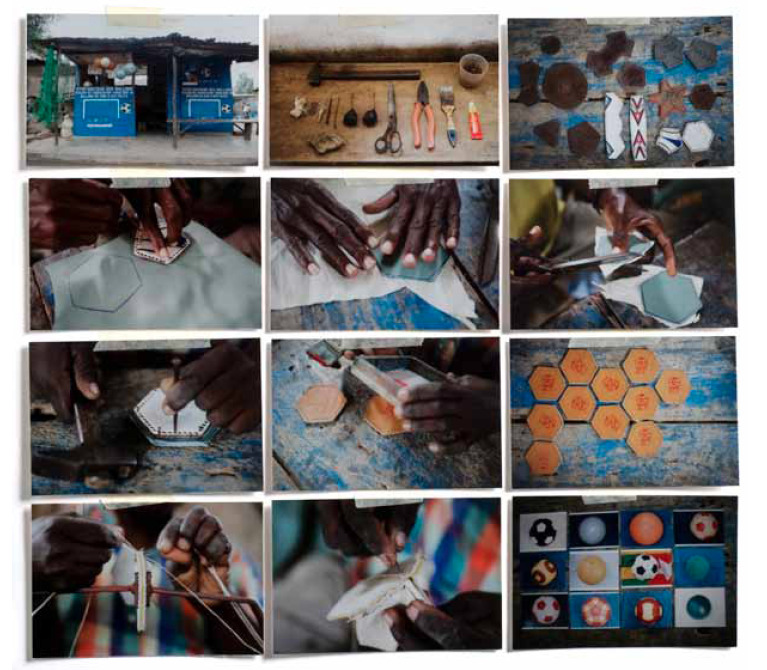 Mr. Akolly Etsri, AKA "Docteur des Ballons" fixes and makes handcrafted footballs and nets for clubs in his area utilizing only local materials. FFI hopes to raise enough money to fund a new holder, hammer, mallet, perforators, cutter, cloth, leather, glue, paints, machine, pump and net. This will enable him to donate more soccer balls and nets to children in need in his area. We are hoping to raise $1,000.00 annually for this project. 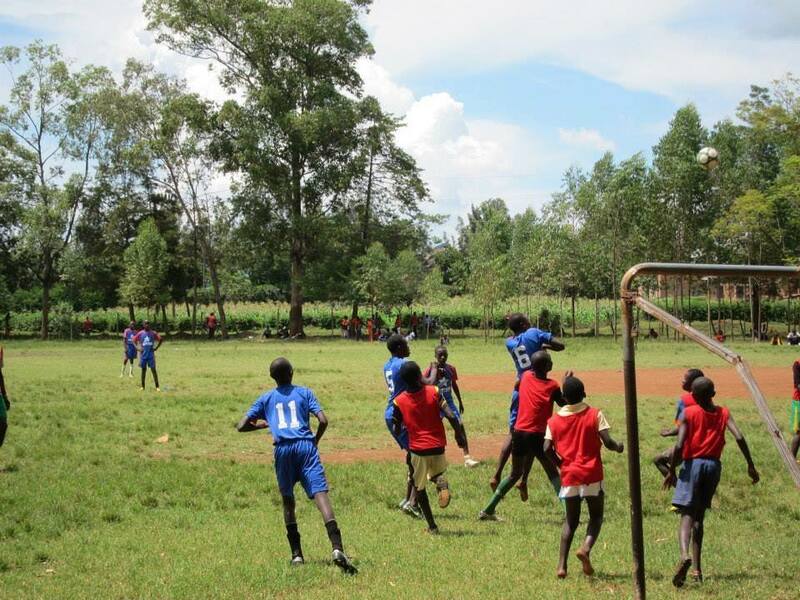 This group of 75 girls and boys love soccer and are managed by Coach Simon Okello. Wire's mission is to help break the cycle of poverty in Kenya by building stronger children, and stronger communities. They opened in the town of Oyugis and plan to expand to surrounding areas. As Okello says, "We believe the Scriptures are clear concerning helping those in need. We are commanded to do good to all people, to be generous and willing to share our resources with compassion and generosity. This is true as an organization as well as for each of us individually. As a basic aspect of the practice of our faith, we will share our material goods with those in need and will minister to them to the best of our abilities." As usual, FFI has split Wire Academy's needs into different projects so you can pick one or more. Check out the photos section of Wire's Facebook page, to see the great work they are doing to make the world a better place through the sport we all love. Funds will buy safe water and fruit that the players need during their upcoming season. This money will cover the cost of an entire team to attend a number of away games (transport and lunch). Funds will buy cleats for an entire team. Funds will buy locally made uniforms for an entire team. This project will purchase a fully stocked first-aid kit. Funds will go to purchase shin guards for an entire team. Funds will buy soccer balls and goalie gloves for one team. This money will cover the cost of building two soccer goals, plus the purchase of nets. These funds will go to buy 8 more soccer balls that Wire Academy needs for their rough playing surface.